← Monday 4th May 2015 – The force was strong with me today!! Monday 4th May 2015 – Just a quickie!! In the afternoon I had a little bit of time to spare before I needed to start dinner, so I went in my greenhouse and potted up my Kohl Rabi. They’ve been growing really well, and I should have done them a couple of weeks ago, but I’ve just been too busy! They don’t seem to have minded being in their seed tray for a little longer than they wanted, so that’s ok. I’ve sorted out 30 for myself, and also potted up 10 for my sister. 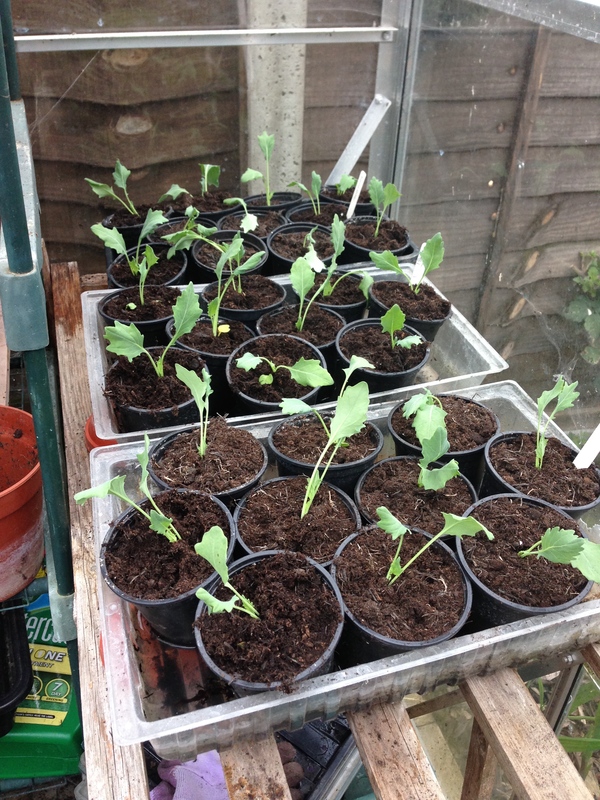 She’ll have a few more seedlings as and when I get round to doing them. I did the same last year and I gave her all sorts of goodies. My 30 Kohl Rabi in their new pots. This entry was posted in Uncategorized and tagged claire's allotment, Kohl Rabi, Mr Fothergills seeds, Olivia F1. Bookmark the permalink. 2 Responses to Monday 4th May 2015 – Just a quickie!! It’s great to pass stuff on, isn’t it? I might do the same with some of my cauliflowers. It’s always good to share.